Afterwards, Chen Mo never went back to Powder Alley. But he still ate a good amount of cakes. 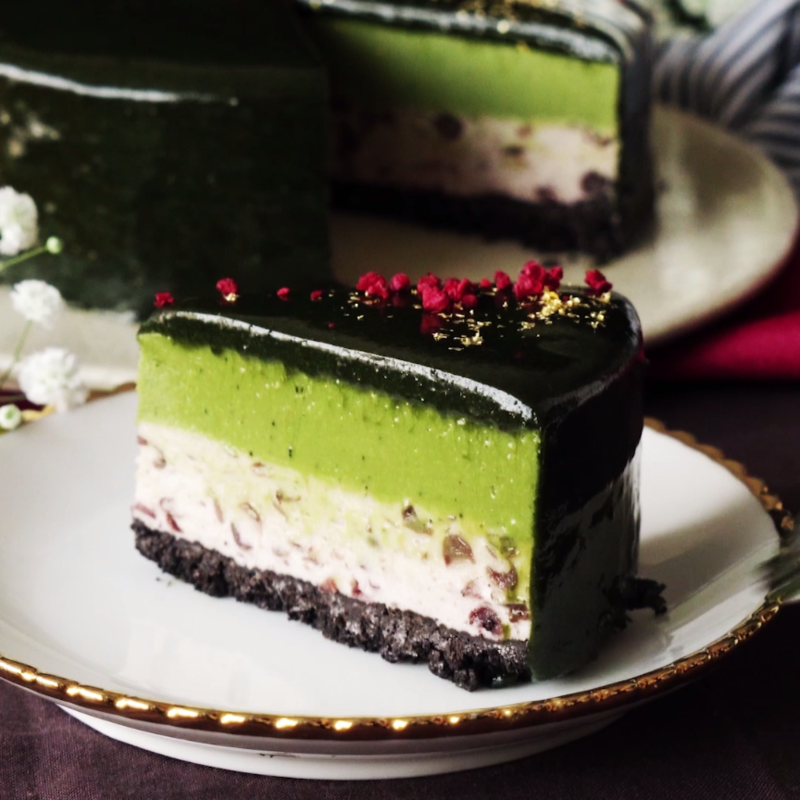 Yuan Jie had lost his girlfriend over a slice of matcha mousse cake, and in anger, he ate one of everything in Earth Café. Having eaten his feelings away, his ire finally abated, but every once in a while, he would still go back for a taste. Chen Mo asked Yuan Jie to do him a favour and buy him a slice of chocolate cake. Yuan Jie sighed and thought that this man’s heart and stomach were one. Though he was dumped, he still craved the taste of her confections. 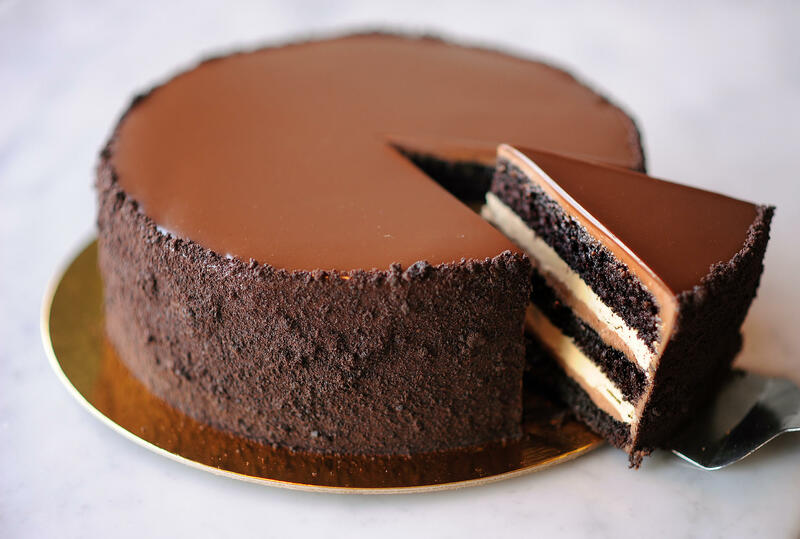 Later, the chocolate cake’s soy-based cream changed into dairy-based cream, and Chen Mo suddenly discovered the flavours in his memory resurfacing. A pity it was still lacking something. It was just that little tiny bit, but he still felt disappointed. Out of habit, Yuan Jie went shopping on the weekend. He bought some daily necessities, got a haircut, and bought snacks for himself and his captain. Yuan Jie felt like his skills were increasing a lot. To have such a small fragile cake to remain intact during the journey back was really no easy task. Yuan Jie feared that if not eaten soon, the cake would lose shape. To ensure its survival, he headed directly to Chen Mo to deliver it. Chen Mo was currently preparing the materials for the meeting on Monday. He hadn’t eaten dinner yet and realized he was indeed hungry. He picked up the cake and bit down…Yuan Jie blankly stared as he saw his own iceblock of a captain change colors in an instant. It was as if Chen Mo was stunned in disbelief. He glanced down at his cake and then rushed out. My my, what sort of situation is it? Yuan Jie stretched out his neck, watching Chen Mo disappear around the corner. Chen Mo drove in a hurry the whole way there, his mind in tangles. Only after rushing over, did he discover that he had slipped up. Separated by a glass barrier, he awkwardly opened his mouth as if wanting to say something. Miao Yuan was inside, and when she caught sight of him, she came out. “Is something the matter?” It was rare to see Chen Mo in such a frantic state, and Miao Yuan was shocked. Was the sky falling? Was the earth collapsing? Miao Yuan suddenly felt nervous. Her first instinct was to deny it. “Huh?” Miao Yuan was dumbstruck. Chen Mo saw that the employees and customers were currently looking in their direction. He clenched his teeth and conspicuously dragged Miao Yuan out the door. Miao Yuan was struck by his lightning confession and her head was a mess, so she was unable to resist as Chen Mo quickly led her out. Chen Mo found a place with few people and locked Miao Yuan between himself and the wall. “It’s like this…” he tried to explain. Miao Yuan impatiently looked at him. Chen Mo suddenly felt like his mind had become tangled once again. He had so much to say, but didn’t know where to start. And he didn’t know how to say it. It was all bottled up in his chest. When people are pushed to their limits, they always loved saying they would offer their heart to the other person, as if the words were permanently etched on their heart. Chen Mo agonised frustratingly, I really wish I could give you my heart. But it was of no use! It was just a lump of bloody flesh! Chen Mo anxiously looked at Miao Yuan. … Did Chen Mo just kabedon Miao Yuan? Yes, yes, we have a kabedon here. Thanks for the chapter. Awww Chen Mo, you sweet awkward man. Well,well,well!!! Is this the turning point!!! Miao Yuan made him work for it! Thank for the post! Oh my! Finally! 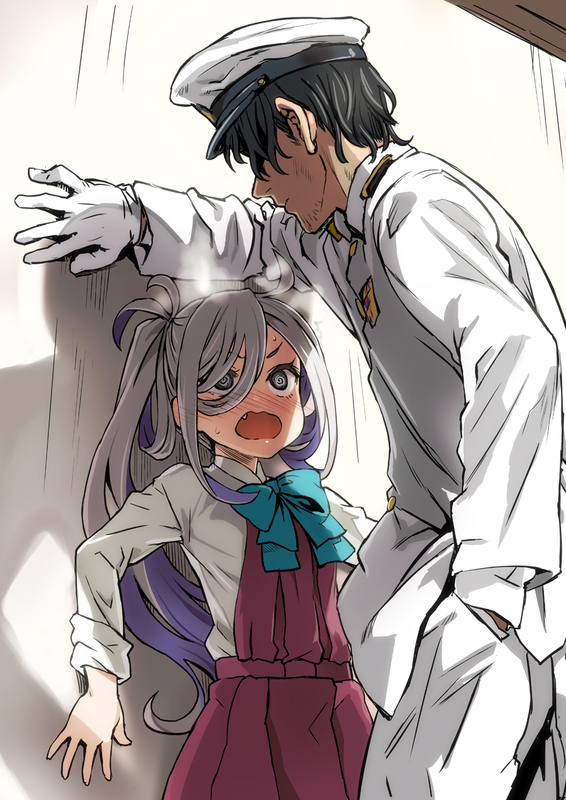 And a kabedon at that. Go, Cheng Mo!